Dr. John Ayala performs an array of cosmetic procedures at his San Antonio plastic surgery practice, with each treatment plan meticulously devised to address your concerns and unique needs. Distinguished by his decades of experience in aesthetic and reconstructive surgery, Dr. Ayala makes it possible to achieve your cosmetic goals while upholding the highest standards of safety, cleanliness, professionalism, and results. Please feel free to explore the surgical procedures offered at Ayala Plastic Surgery, and contact our practice if you have any questions. Facial plastic surgery can encompass a number of cosmetic goals, including reducing signs of age to restore a more youthful look, minimizing the effects of stress and fatigue around the eyes, or creating a more harmonious balance between your facial features. Depending on your unique concerns, the procedures offered at our practice can refresh your appearance for results that last longer than those provided by non-surgical treatments. Whether you are interested in a facelift, rhinoplasty, eyelid surgery, or the many other facial procedures we offer, Dr. Ayala is committed to achieving a beautiful outcome that complements the character and natural beauty of your face. 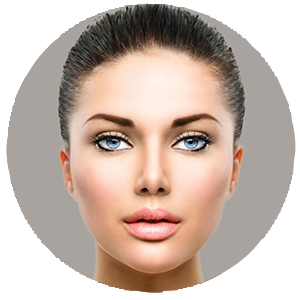 Explore surgical procedures for the face. It is not uncommon for the breasts to undergo changes throughout the various stages of life, with many women experiencing a loss of volume, shape, projection, and/or symmetry as they get older. There are also countless patients who undergo breast surgery to fulfill long-held aesthetic desires about the size or contour of their breasts. No matter your reasons for pursuing breast enhancement, there are a range of procedures that can address your concerns, such as breast augmentation, breast lift surgery, and breast reduction, among other options. As a result of pregnancy, nursing, weight fluctuation, genetics, or the natural aging process, patients often struggle with excess skin, loose musculature, and stubborn fatty deposits in the upper and lower body. From liposuction to tummy tuck surgery, Dr. Ayala offers a multitude of treatment options to address the problem areas that can be difficult to resolve with diet and exercise alone. Plastic surgery for the body is often performed to sculpt regions affected by massive weight loss, or to simply achieve a slimmer, more defined body contour. Dr. Ayala also offers a combination treatment plan, known as a Mommy Makeover, for patients who would like to fully restore their pre-pregnancy figure. Explore surgical procedures for the body.